The 10 pesos fare hike in Light Rail Transit and Metro Rail Transit has approved. The government agency eyeing to implement the increase in 2 years, P5 for every year. 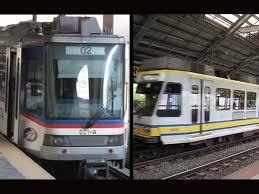 Transport Secretary Joseph Emilio Abaya said, "LRTA has approved a board resolution. We are scheduling public consultations." He added, "We are doing a recalculation and LRTA has told me that it can be done P7 for both. It is a range from P7 to P10. It will still be for a two-year period, so we have to split." President Noynoy Aquino III also mentioned it in his 4th State of the Nation Address (SONA), he said, "reasonable for us to move the fares of the MRT and LRT closer to the fares of air-conditioned buses, so that the government subsidy for the MRT and LRT can be used for other social services." However, there are no exact date when they will start to implement the P10 fare hike. Comments or suggestions about "P10 MRT LRT Fare hike approved by the Government" is important to us, you may share it by using the comment box below.